The Graveyard of School Reform: Why the Resistance to Change and New Ideas explores the critical role resistance plays in defeating valued programs for students, parents, and staff. It is time for education reformers to face the hard truths about the skilled and destructive forces of resisters and to learn that good ideas and calls for change are not enough. Reformers need to learn how to overcome these entrenched forces and muster new skills with the will to win, courage, and the persistence required. Resistance has been given little attention for far too long considering the huge cost and the loss of programs we desperately need. 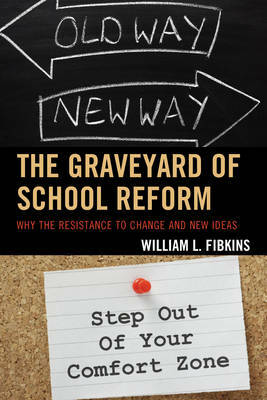 Fibkins argues that reformers often accept defeat when they should be discovering new ways to win. As an education reformer Fibkins has observed far too many necessary programs meet an untimely death due to the naivety of reformers. By reviewing lessons learned from other failed reforms and analyzing successful reforms, Fibkins new book addresses issues and presents doable models for reformers to succeed and deliver what administrators, staff, parents, students, and community members need to make their schools the best they can be.